﻿ Hampton Inn & Suites Chicago-Downtown, Chicago (IL) | FROM $109 - SAVE ON AGODA! 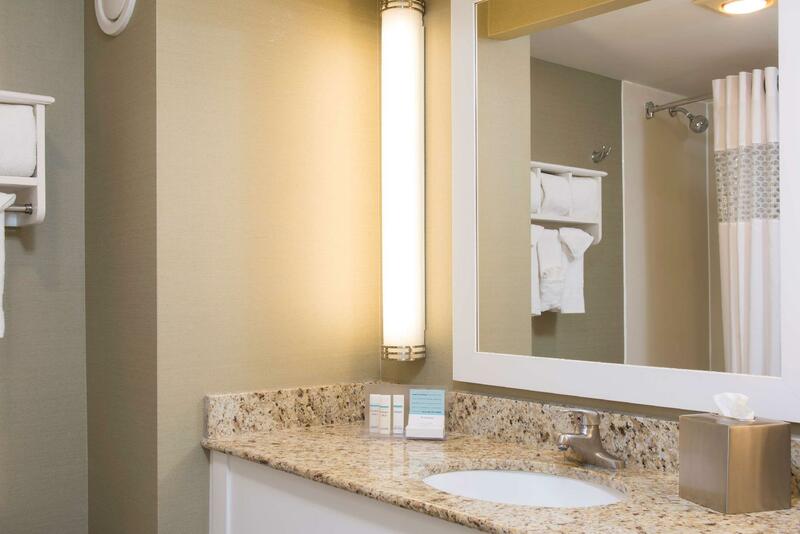 Have a question for Hampton Inn & Suites Chicago-Downtown? 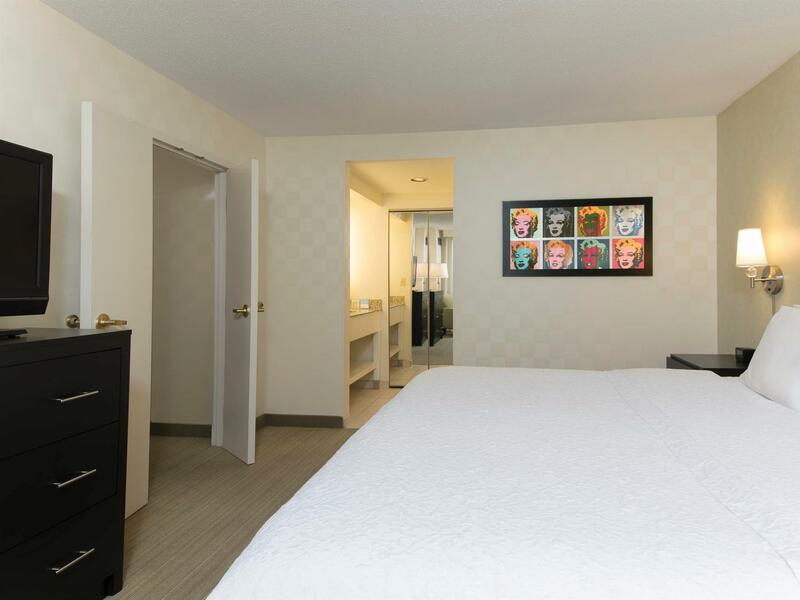 This downtown property, part of the well-loved Hilton Family, combines the comforts of home with an unbeatable location close to all attractions. 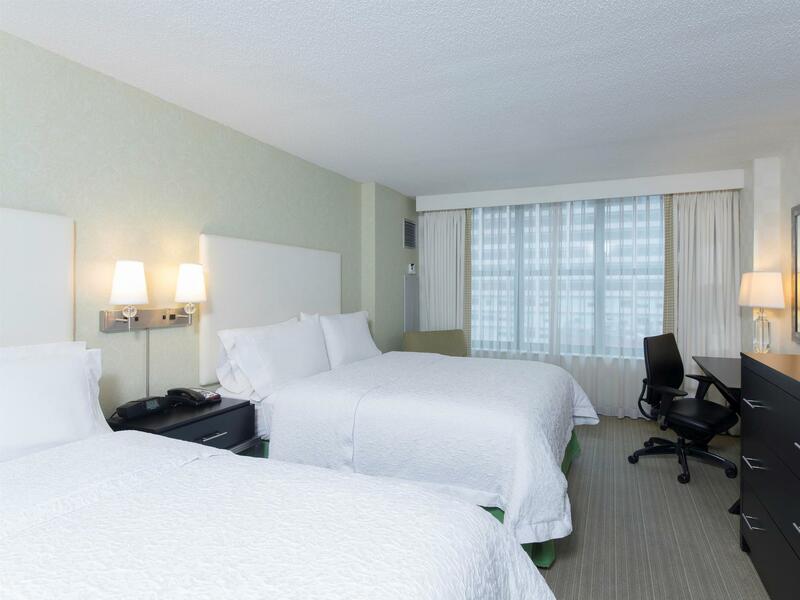 Hampton Inn & Suites Chicago-Downtown is about 45 minutes from O'Hare International Airport and within walking distance of Millennium Park, the vibrant Magnificent Mile, and even Navy Pier. A number of museums can be found around the hotel, and Shedd Aquarium, with its fantastic display of marine life, is three miles away. 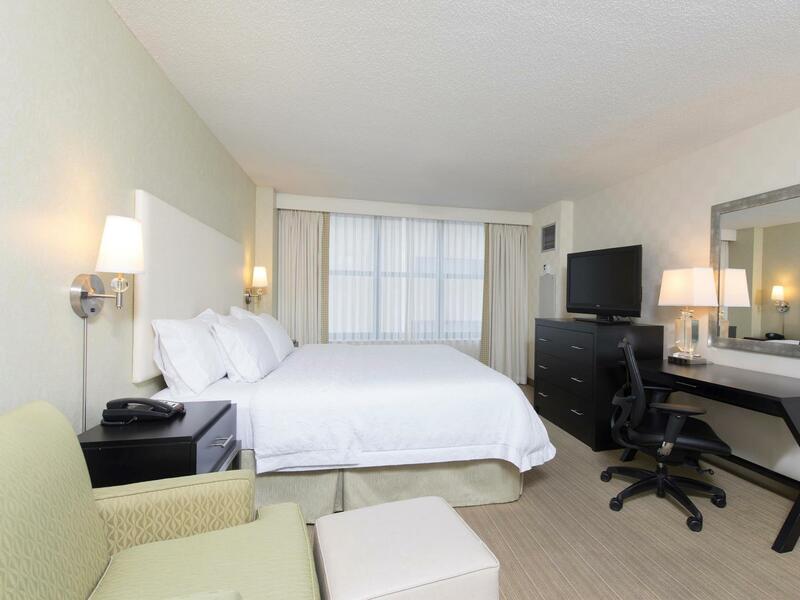 A number of dining options are a short stroll away, and the hotel is directly linked to Ruth's Chris, serving scrumptious steaks in a casual setting. 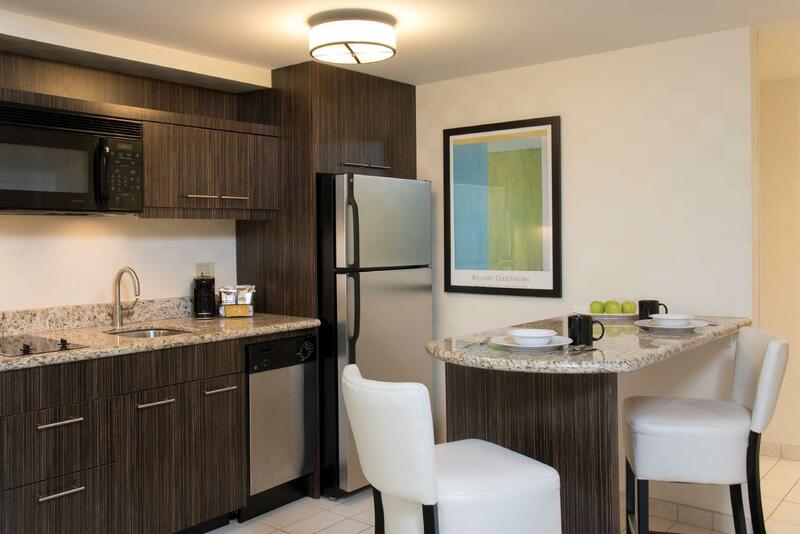 A hot breakfast is served each morning, and guests in a rush can simply grab a breakfast bag, ensuring a good start to a busy day in Chicago. 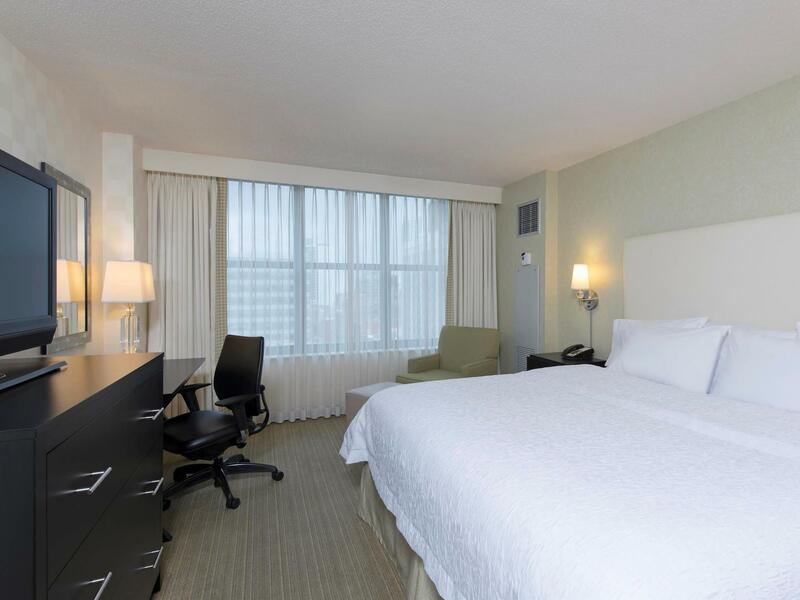 This hotel is in the perfect location for families, couples, and business travelers to the city. very friendly and helpfull staff. Comfy bed. Great location. walking distance to a lot of things. Overall the hotel was good, clean, and reasonably well-kept. It is in a great location. The hotel was quite expensive, however this is consistent with most hotels in this area. The hotel was located at a great location, but it lacked everything else. The room for four was barely big enough, especially with a family travelling with two older kids. The room didn't have a refrigerator and the hotel didn't even provide complimentary water. The hotel provides nothing aside from a great location. It was great!! The front staff gave us menus for late night pizza, offered us water and told us we could have the pizza delivered right to the room! It was a great birthday expereince. And they gave us free entry passes to Howl at the moon which is super close to the hotel. Everything was amazing and I would stay here again! Plus the breakfast is phenonmenal! Friendly efficient staff that goes out of their way to make everything perfect! a dozen old friends met up in chicago for a weekend reunion and we found this to be the perfect venue! they even allowed for a last minute change to give us adjoining rooms and a coupon for a recommended restaurant! the location was excellent for getting around easily, plus had the quietness of being off the main drag. The check-in was a breeze and the hotel staff are very friendly. The room was clean and spacious, though the lifts may need some upgrade as they looked old and one of them broke down during our stay. The breakfast was good and they even gave out mints during breakfast which was a nice gesture. 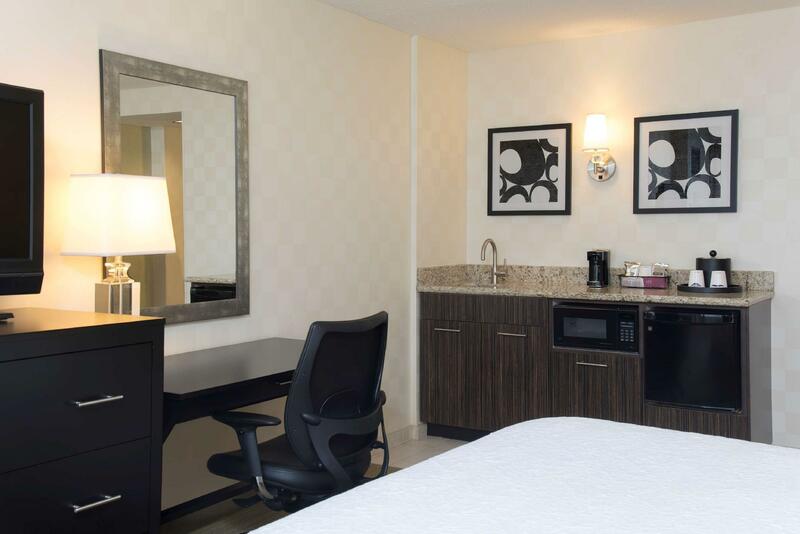 The location of the hotel is good with a subway station nearby and within walking distance to the shopping area. Overall, our stay at the hotel was pleasant and would definitely consider staying there again if we visit Chicago again. great location. great staff who was extremely friendly. much better than another 4 star location that I stayed in subsequently. free wifi was also a bonus. great bed - so much so i overslept and missed breakfast (altho, i had just landed from a 20hr+ flight from sydney). given the free internet access, i think overall, i would have preferred to stay here for the next 5 days. having said that, the bathroom could do with a bit of modernisation. not bad overall, and wouldnt mind returning overall! i would stay at this hotel again. pros:nice clean rooms, windows that can be partly opened to let fresh air in. free fast internet. free breakfast. friendly reception staff. lots of restaurants and a supermarket within an easy walk. cons. no fridge in room. too many disposables at breakfast. the scrambled eggs at breakfast were a very suspicious yellow color. the bagels were not great (though they rarely area. elevators occasionally slow. Agoda hat mir den Preis gennant aber als ich da angekommen bin, wurde mir gesagt dass der genanten Preis plus tax wäre. Das war mir nicht bewusst und Agoda hat mir das nie erwent.